The delivery is to UK mainland addresses only. The Delivery rate is £4.99. 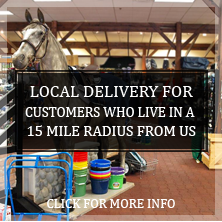 HORSE FEED DELIVERIES ARE DONE WITHIN 15 MILES RADIUS FROM BATTLE, EAST SUSSEX ONLY. Your Order will be delivered by the Royal Mail or Parcelforce/Interlink Express. The time of the delivery is between 3 to 5 days if the goods are in stock. Unless you have requested a next day delivery, we aim to dispatch all items within 2 days of the receipt of an order. If you have provided an e-mail address, you should receive a dispatch e-mail once your Order is dispatched. If your Order has not been entered the dispatch process, you may cancel or change your Order without additional charge. 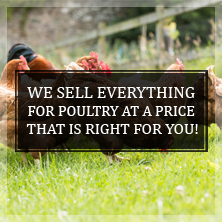 Please call us on 01580-882255. Once your Order has entered the dispatch process or has been delivered to your address, you may still cancel or return your Order for a refund or change your Order for another item. This must be done within 14 days period from receipt of your Order. Please be aware we only offer a refund where goods have not been shipped or on inspection of returned items. All refund requests are dealt with on a case by case basis. The items being returned under complaint will not be accepted unless clean and dry - Health and Safety Act 1972.